It’s a win-win solution that breaks conventional thinking: serve a greater quantity of people while maintaining superior quality. The team of medical professionals supporting the RosenCare model includes doctors, nurse practitioners, physician assistants, nurses, a chiropractor, a dietician, physical therapists, lab technicians, exercise coordinators, x-ray/DEXA/ultrasound technicians, and more. All combined, the many years of service, talent, and skills are passed to each person who walks through the doors of the Rosen Medical Center, A Place for Healing and Wellness. 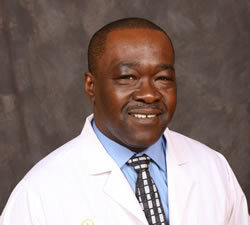 Ronald Ryan, MD and Medical Director, has been practicing medicine in the Central Florida area since 1995. Dr. Ryan graduated from Oakwood College with a Bachelor of Science in biology; he also attended Jefferson Medical College, now Sidney Kimmel Medical College, from which he graduated in 1995. Following his training with the Florida Hospital Family Practice Residency program, Dr. Ryan started his own practice and subsequently practiced medicine in a variety of urgent care and family practice settings. Dr. Ryan holds a Certificate of Added Qualification in hospice and palliative care medicine and was the Associate Medical Director at Hospice of the Comforter during his tenure there. He has been medical director of Rosen Medical Center since 2012. His outside activities include family, music, reading, martial arts, and poetry. Kenneth A. Aldridge, RN-BSN, MS-HSA, Director of Health Services, has served Rosen Hotels & Resorts since 1998 in a variety of roles. With his bachelor’s degree in nursing from the University of Central Florida, Kenneth began as a triage nurse in the Rosen Medical Center. In this role, he provided patient care, organized medical staff training, and managed emergent medical needs. In May of 2005, Kenneth completed a Master’s degree in Health Services Administration from his alma mater. In 2012, as Director of Health Services, Kenneth was a vital team member for the planning, design and implementation of the new 12,000 sq. ft. Rosen Medical Center, A Place for Healing and Wellness. Kenneth influenced the growth of the new medical center to include a full fitness center, physical therapy, digital x-ray, dexascan, ultrasound, sleep studies, and a chiropractor. Ramona Hunt Taylor, MD is currently the director of functional medicine at Rosen Medical Center, where she founded and passionately implements the Lifestyle Management Program. This unique, integrative approach to health care delivery boasts an amazing success rate in engaging, educating, and empowering individuals to pursue life balance and overall wellness through individualized treatment plans. This program augments the numerous other works and wellness initiatives available to the employees and dependents of Rosen Hotels & Resorts. As a graduate of Loma Linda University School of Medicine, Dr. Hunt has dedicated her medical career to promoting health, healing, and wellness. She has certifications in family practice, functional medicine, and hormone restoration. With a love for medical practice and teaching, her career highlights include a tenure at John Hopkins University and Emory Hospital. 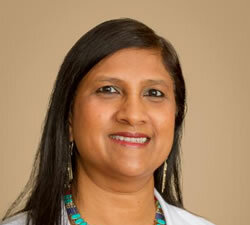 She has been published in the Journal of Obstetrics and Gynecology, shared her wisdom as guest lecturer and television moderator, and has participated in numerous fundraising projects that include Team in Training with the Leukemia and Lymphoma Cancer Society, American Cancer Society, and the Susan Koman Foundation. Dr. Hunt also has a passion for medical missions that extend beyond national borders, which has led her to countries such as Jamaica, Gabon, and Nigeria in her quest to provide health care to the abroad populations in need. 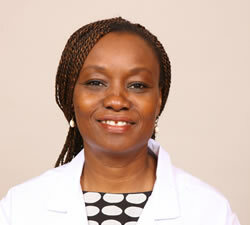 Edith Mensa, MD, joined Rosen Medical Center in June 2013. Dr. Mensa is board certified in family medicine and performs health care screenings, minor injury care, acute and chronic illness treatments, school, work, and sports physicals, and health care preventative services as well as minor office procedures. After earning her degree at State University of New York in Syracuse, Dr. Mensa completed her residency training at the University of Rochester, New York. Prior to joining Rosen Medical Center, Dr. Mensa was a sole practitioner of family medicine for ten years in Apopka, Florida. She is a diplomate of the American Board of Family Medicine, and her career interests include women’s health and preventive care. Matthew Snell, MD, is a board certified internal medicine physician and specializes in providing comprhensive, evidence-based medical care to adults. He believes in an active partnership with the patients to promote healthy lifestyle and patient centered medical decision making. Dr. Snell earned his medical degree from the University of South Florida College of Medicine before completing an internal medicine intership and residency at the University of Alabama at Birmingham. 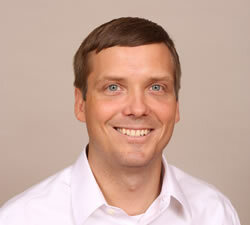 Dr. Snell returned to Orlando, FL in 2001 to work as a hospitalist. Prior to joining the Rosen Medical Center he was a partner in Physician Associates of Florida for 13 years where he served as a primary care physician. 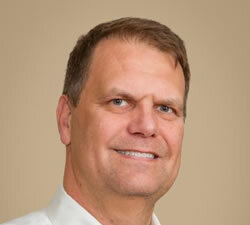 He also has experience in providing urgent care tele-health services. 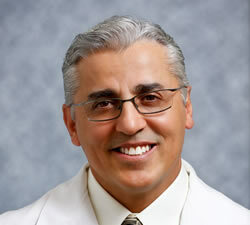 Victor M. Torres, MD relocated from Orlando to Lake County Area in 2000 to join the staff at Lake Health Care Center. Dr. Torres is a member of the APMA (American Podiatric Medical Association) as well as the FPMA (Florida Podiatric Medical Association). Dr. Torres is a board certified diplomate by the American Board of Podiatric Surgery, and certified in foot surgery. Dr. Torres received his podiatric training at the Pennsylvania College of Podiatric Medicine, better known today as Temple University, with his residency done at the Greater Baltimore Medical Center in Baltimore, Maryland. Dr. Torres served in the United States Navy aboard the USS Midway. Along with serving the Rosen Medical Center, Dr. Torres is on staff at the Florida Hospital Waterman, FH Waterman Wound Care Center, and Surgery Center of Mount Dora. 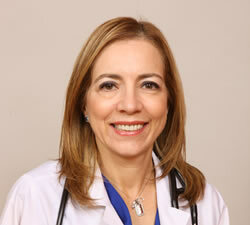 Dr. Torres’s scope of practice is general podiatry, wound care specialist, and surgery for foot and ankle wellness. We offer foot and ankle care for all ages and look forward to serving Lake and surrounding counties. 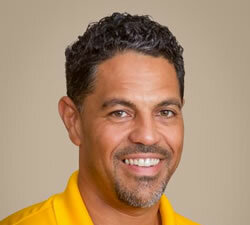 Dr. Torres lives with his wife and two children in Mount Dora. He enjoys a good golf game, going to the movies, and spending time with his family. Mark Williams, Doctor of Chiropractic, a native to Orlando, is dedicated to providing upper cervical care that is focused on identifying the cause of pain and disease due to dysfunction of the nervous system. Dr. Williams completed his bachelor studies at Florida State University where he met his wife Caroline. After his time at FSU, Dr. Williams completed his chiropractic studies at Palmer College of Chiropractic Florida in Port Orange. Dr. Williams has a passion for spreading the word about upper cervical care and has devoted himself to helping patients of all ages find true health in order to allow their bodies to function at optimal level. He has been married to his lovely wife, Caroline, since 2006 and is the proud father of Braelyn, Parker, and Hunter. Clelia Lima, DNP, ARNP-C, is a family nurse practitioner with special training in sleep disorders and functional medicine. She has been working at the Rosen Medical Center since 2012. Dr. Lima earned her Doctor of Nursing Practice degree from the University of Central Florida, where she has been an adjunct professor since 2008. She has been a speaker at several national conferences and her studies have been referenced in numerous health news sites. Her guest speaker appearances include a CBS affiliate news program, the Growing Bolder Radio Show, and community seminars. She is also a clinical preceptor and mentor for nurse practitioner students. She is the former president of the Central Florida Advanced Nursing Practice Council. Dr. Lima also volunteers for the Shepherd’s Hope free clinic. 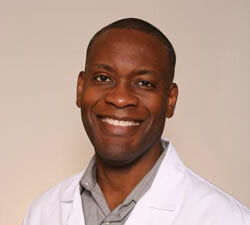 Emmanuel SaintFleur is a board certified physician assistant with over 15 years of experience in the medical field. He graduated from the Physician Assistant program at the Medical College of Georgia. Prior to that, Emmanuel served in the U.S. Air Force as an aircraft loadmaster, and was involved in Desert Shield/Desert Storm military operation. He has been in the Orlando area the vast majority of his career and has experience in a variety of fields including hematology, orthopedics, urgent care, and workers’ compensation. He has been a member of the Rosen Medical Center team since 2012 and is very involved in his community where he coaches and mentors youth in sports, being named volunteer of the year at his child’s elementary school. In his spare time, Emmanuel enjoys spending time with his wife and children and can often be found cruising on the seven seas. 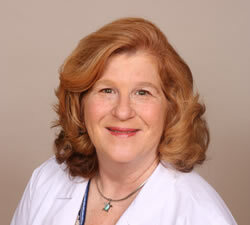 Sandra Weisstein has been a practicing nurse for over 35 years and a nurse practitioner for 18. She is a nationally board certified family nurse practitioner and specializes in adolescent health and preventative medicine, with a focus on healthy lifestyles. She is a native Floridian and has lived in the Orlando area for 28 years. 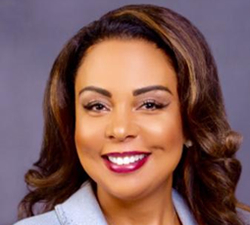 After pursuing her undergraduate degree in nursing at Southern University, she worked at the University of Central Florida Health Services for 2 years while completing her master’s in nursing with a focus on family medicine. She earned her national board certification as a nurse practitioner in 1997, the same year she joined the original team at Rosen Medical Center under medical director, Dr. Miriam Finegold. This was followed by 12 years of work as nurse practitioner and director of the Student Health Services at Rollins College. Sandy has been married for 38 years and has two daughters, Leslie and Elizabeth, and one adorable grandson, Benjamin. Neisha Muchan, MSN, FNP, is a graduate of Herzing University and founder of Diversely Geek, a global non-profit wellness educational organization. Skilled in leadership, Neisha carries many years of service in the health care arena. She most recently served with the Family Medical Clinic Group and has worked with numerous medical offices and institutes, including Florida Hospital’s Neuroscience Institute. During her time off, Neisha is dedicated to helping clinics that offer assistance to under-insured or non-insured residents of at-risk communities. She is also co-host of “Our Health is our Wealth,” a radio program dedicated to educating the community in holistic self-care techniques to improve their physical health and psychosocial wellness. 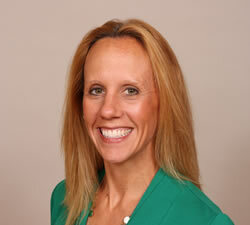 Kimberly graduated from The Ohio State University in 2004 with a master’s in physical therapy. She has worked as a physical therapist in both outpatient and acute care settings and has been a clinic manager for CORA since 2012. Kimberly enjoys treating patients with orthopedic and sports medicine injuries, and is happy to help her patients get healthy and resume their lifestyles as soon as possible. Her favorite activities include working out and participating in triathlons, but she enjoys spending time with her two wonderful boys the most. Jorge is originally from Puerto Rico and graduated from Seminole Community College with an associate’s degree as a physical therapist assistant in 2003. Jorge has worked as a PTA in multiple settings including outpatient orthopedic, pediatrics, acute, long-term, and home care. 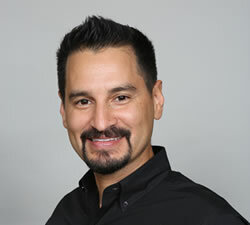 Jorge is passionate about helping others achieve optimal health through exercise and nutrition. Jorge enjoys playing baseball, exercising, and spending time with his two beautiful daughters.